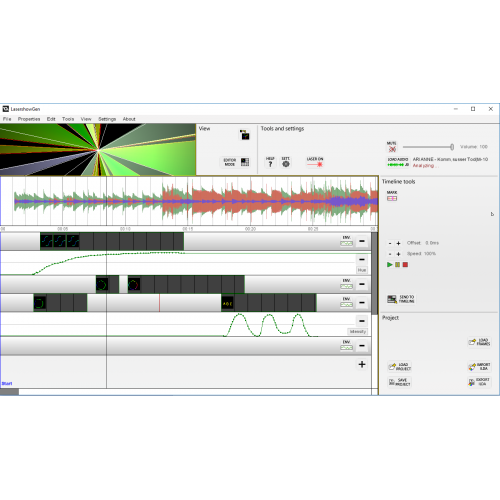 LaserShowGen (formerly ildaGen) is a freemium software tool designed to make it cheaper and easier than ever before to create your own laser shows. It can export to ILDA files, which can be read by laser projectors with SD card readers. 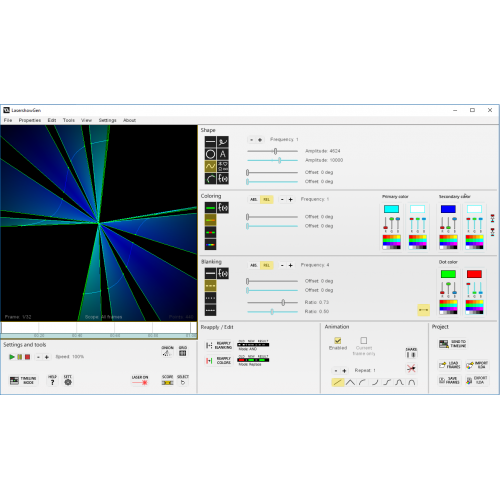 LaserShowGen can also output directly to Laser DACs for full control over your laser projector in real-time. It supports various such devices including our own Helios Laser DAC, LaserDock, Ether Dream, RIYA products, sound cards and OLSD. Also available in a web version (HTML5), create ILDA files directly in your web browser on any operating system, without downloading or installing anything. An industry first!